What do 12,000 people and Kevin Hart have in common? A thirst for some healthy fun! Yeah, Kevin Hart is undeniably hilarious, but did you know he’s a motivational fitness fanatic? We didn’t know that either until we helped Rally® Health – a software technology company—to promote their HealthFest events in a couple of major cities in the US. 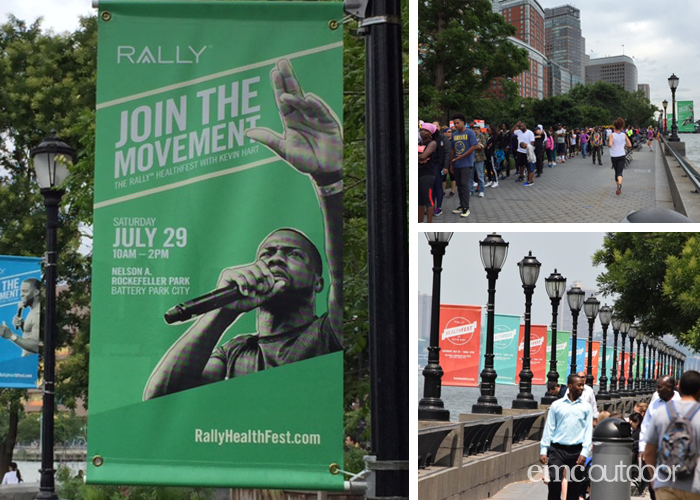 When Rally® Health started producing their HealthFest events, they tapped into EMC to provide solutions to help promote the event and drive registrations. In supporting Rally’s promotional efforts earlier this year in San Francisco, EMC was able to help plan and place their media-buy within 3 weeks. Within that tight window EMC handled all the logistics of production and installation to ensure that Rally could build awareness in the 4 weeks leading up to the event. 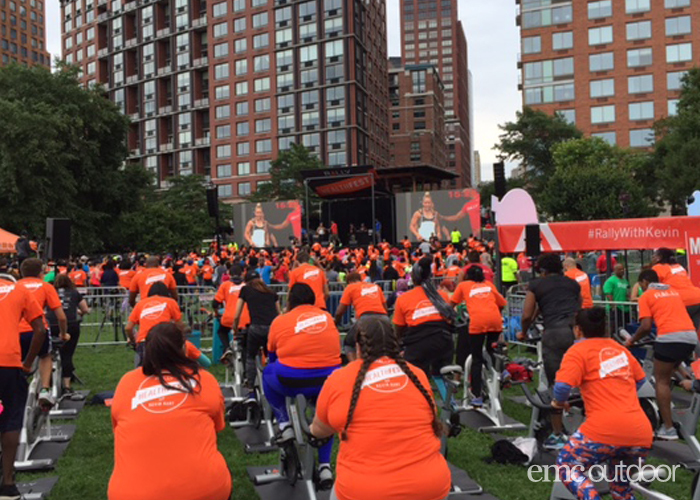 Given that initial success, Rally called on EMC again to help with their next event, this time in New York City at Rockefeller Park, on the lower west side. 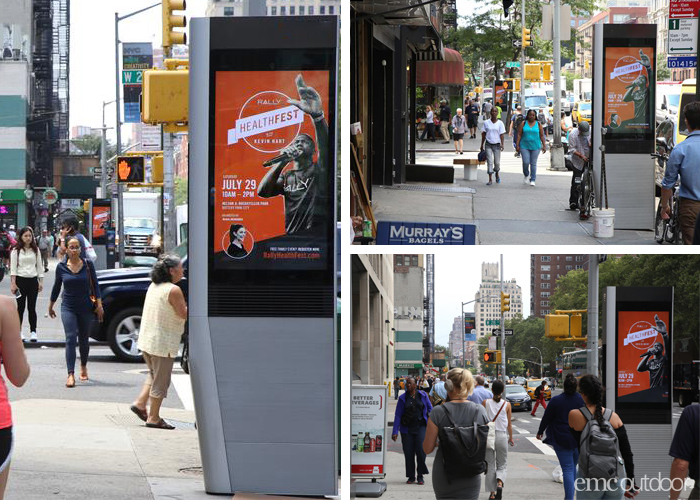 How did we reach the people and Rally’s target audience who walk the streets of the city that never sleeps? Well, per the latest American Community Survey, over half of New York City’s population relies on public transportation. So, to get high levels of reach and frequency our media plan focused on street level and transit advertising, to raise awareness and drive registrations for Rally HealthFest. 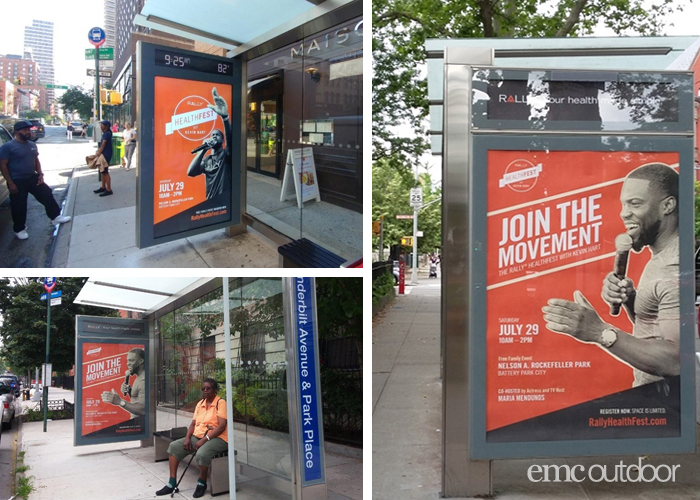 We targeted New Yorkers with a combination of transit shelters (both digital and static), along with Wi-Fi Hotspot / Digital Information Kiosks as well as Pole banners that surrounded the event site footprint, promoting Rally® HealthFest for the 4-6 weeks leading up to the event, encouraging people to pre-register. What did that lead to? It led to 12,000 people and Kevin Hart, spending a Saturday afternoon in late July in Rockefeller Park sweating it out. That number was record-breaking for Rally®, the largest of all their events thus far. 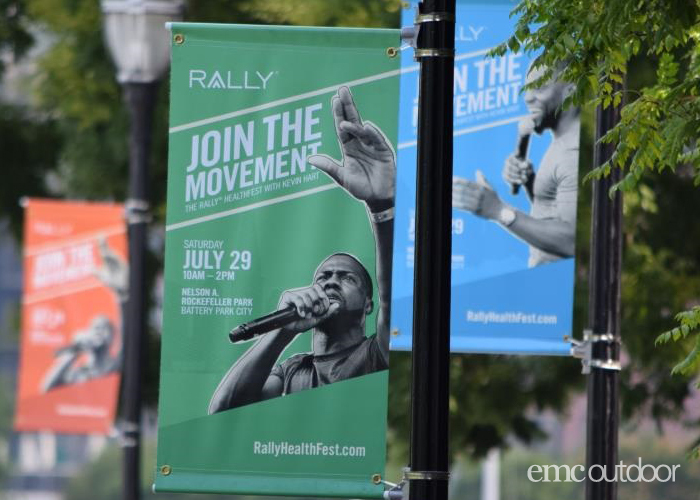 Working with EMC, Rally® has found Out of Home to be an effective media channel to increase brand awareness and drive attendance at their city-specific events. 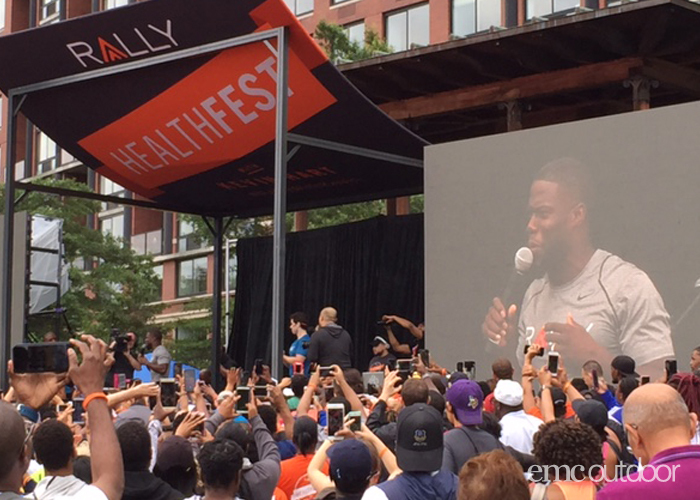 With creative featuring their celebrity brand ambassador Kevin Hart, Rally® Health created an identity and shared health information with the largest audience it has ever had for a HealthFest. At EMC we have over 25 years of experience using Out of Home media to drive event attendance. Contact us to learn more about how EMC can help you create awareness for your next event – even if it doesn’t have a celebrity host. 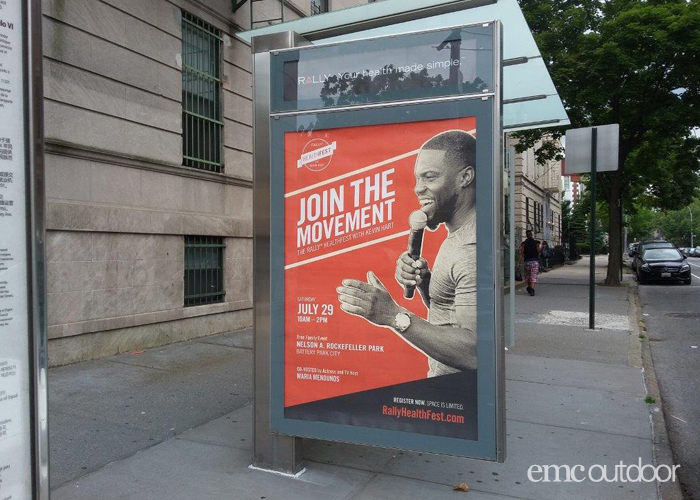 September 20, 2017 | Filed under Event Marketing, Featured, Transit Shelters and tagged with Kevin Hart, New York City, out of home, out of home media, street furniture, transit shelters.